It feels like WAY too long since I last posted a giveaway and after ending up with an ASOS voucher I decided to spend it on a treat for you guys! I know you're all massive lovers of Benefit cosmetics and when I saw this gift set I thought It would be perfect! Benefit 'It's A Love Fest' Gift Set - ASOS This set is absolutely amazing and the value of what's inside the gift set for £39.50 (or a little bit less if you have student discount) is so good! I thought this would be the perfect prize to give away to you guys for all your support these past few months and all the positive feedback you've been giving me! 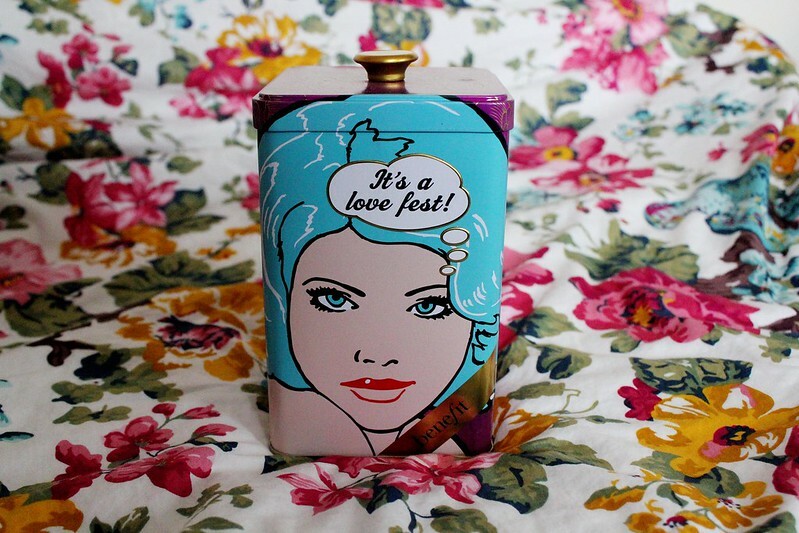 How adorable is this tin?! I think it's so cute. It's perfect for storage too as it's a good size to put make up products or hair products or even nail polishes inside! So what's inside this lovely gift set? Porefessional seems to be Benefit's most popular product. It's an oil free balm formula with a silky finish, the lightweight translucent balm minimises the appearance of pores for a smooth even finish. It's been voted the UK's best selling primer. I have a smaller version of it and it's amazing! I'm personally not a fan of this mascara but it's one of the biggest selling mascaras in the country. It's raved about by so many beauty bloggers, fashion bloggers and youtubers! The mascara brush has slanted precision bristles to grab the lashes from root to tip, while the custom-domed top defines and curls and lengthens the smallest lashes, for a full volume look. Coralista Lip gloss is a soft, silky formula with a non-stick sheen finish. Sunbeam Highlighter is a liquid highlighter formulated with an iridescent shimmer for a natural-looking, sunkissed glow. So I bet you're wondering how you can win this giveaway? All you have to do is follow me via my social media channels! a Rafflecopter giveaway Good Luck Everyone! BENEFIT GIVEAWAY BENEFIT GIVEAWAY ! Oh my god I'm way too excited for this ! I hope so much to get lucky ! I really want to try these products ! This is such a sweet giveaway, very kind of you Becca! I love how everyone is so excited for a benefit giveaway! eeek! this is such a fab giveaway! 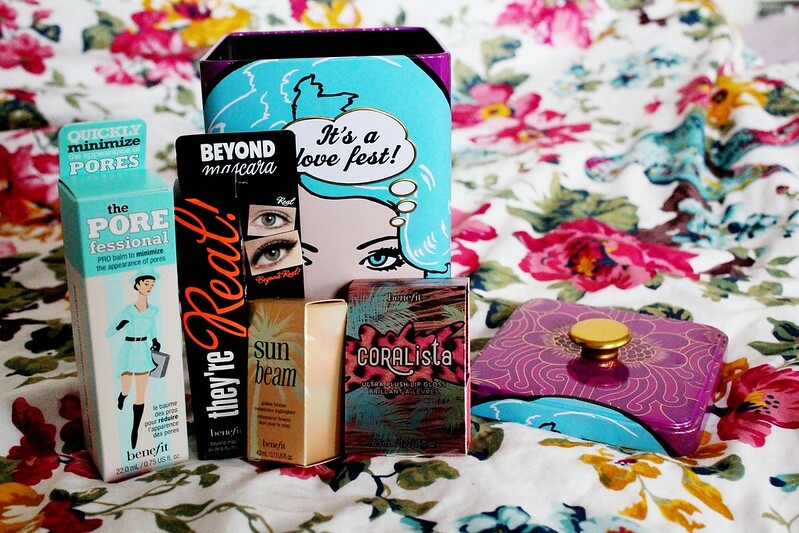 I'd love to win this Benefit Bundle simply because Benefit is my favourite makeup brand. I love the quality and packaging of all their products and there's no denying They're Real is the BEST mascara around just now. wow such a lovely giveaway! 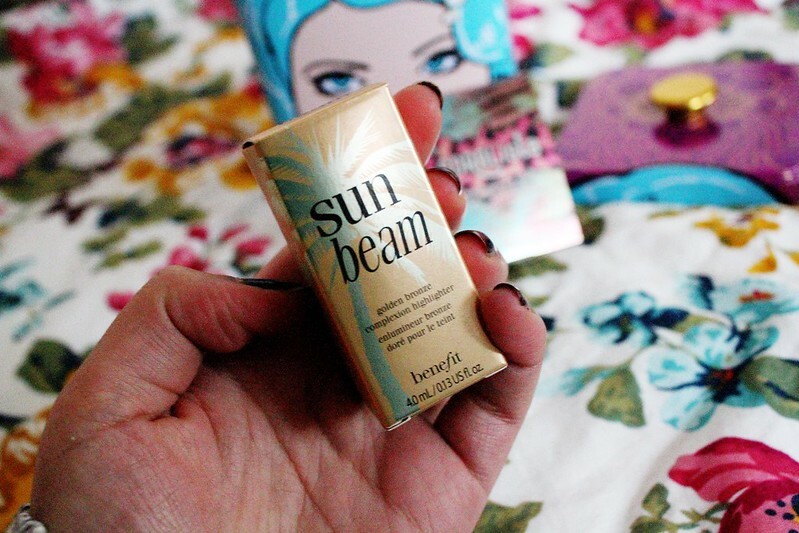 I would love to win as benefit is a brand I have always wanted to try and review on my blog, but I never have the money to buy it! What an amazing giveaway! I'd love to win this because I'm currently saving up for laser eye surgery, so I don't really have any money to spare on beauty products and Benefit is my favourite brand! I am a huge Benefit fan and this gift set looks wonderful and contains products I have not yet tried! I love benefit so would love to win! I'd love to win this to give to my daughter - it would really cheer her up while she continues to job hunt. My mother is a huge Benefit fan and I'd love to be able to give her this set for Mother's Day! I'd love to try out more Benefit products. All I've tried so far are their lip glosses and I've been so impressed. This is an amazing giveaway!! :) I've got my fingers crossed. 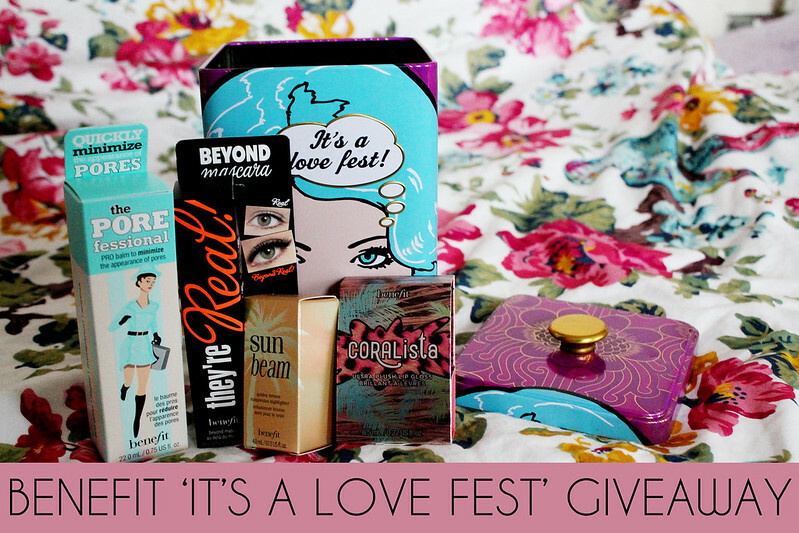 I adore the tin, I would love to win as Benefit just is the best, A full sized Porefessional is brilliant, one of my 'must haves' for makeup. This looks amazing, especially the cute tin! I'd love to try out other Benefit products, I can't live without They're Real! I am a porefessional lover and the ti itself is fab!! I'm ver 37 weeks pregnant and can't remember the last treat I bought for me. I am dying to buy some new make up so this would be a fab win. Ooh I lovvee Benefit :D Yay! I LOVE Benefit! I already have the High beam but would love to try the other products! What a lovely giveaway. Im not normally a fan of giveaways but this one has changed my mind! Love benefit make up! Been wanting the coralista for sooo long! As it's winter my pale face is needing a bit of colour to make me look a bit more healthier! Because i want to try Porefessional! I don't own anything from Benefit so would be good to try! All the products sound useful. Such an amazing giveaway! I've actually never tried any Benefits products! I'd like to win cause benefit is amazing! I'd love to win to try a few more benefit pieces, and that tin is so cute! Such a lovely giveaway! They're Real has quickly become my HG mascara, so would love to stock up, and I've been pining for Porefessional since my sample ran out! I Love Benefit Make-Up, especially POREfessional. I'd be over the moon if I were to win. 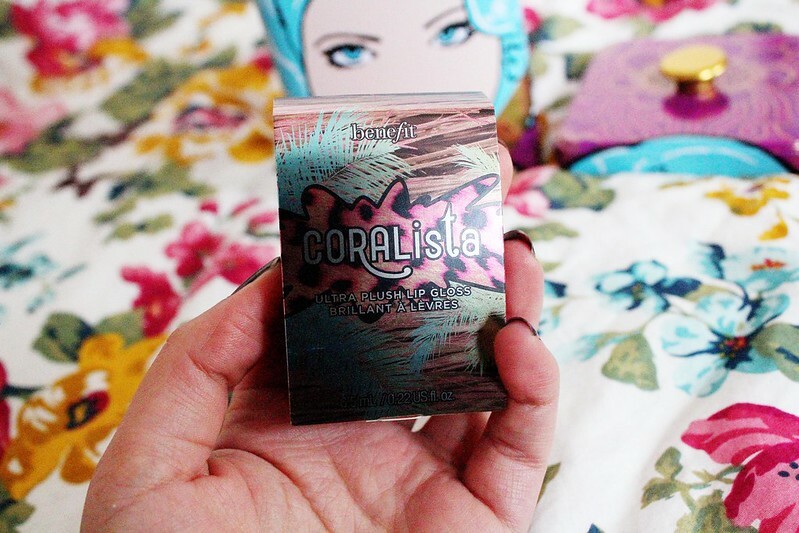 I'd love to win to try all the products - especially the Coralista blush! I'm a big fan of all Benefit products, but don't always have the spare pennies to buy it. This would be amazing!! Recently got a travel set for Christmas and I fell in love with Benefit!! But I'm already running out, hope I win this before I go back to uni and have no money ahhh!! So kind of you to give us a giveaway! Especially a BENEFIT one! i would love to win because I'm a Benefit addict! Hello! I've been following you for a while now & really love your posts. I'm a student too and it is hard to afford my obsession with makeup! I would love to win this benefit set as I save up for ages to buy my porefessional and my sugarbomb blusher! I'd love to win this because I love Benefit make up and the only thing I've tried out of this set is the Porefessional so I'd love to try the other bits out. It would be such a treat to have such a fab haul of goodies to pamper myself with. My mascara just ran out and I love sure do love benefit! Lovely items, some I would like for myself, and some I would love to give to my daughter. These products look really great, would love to try. I ADORE Benefit products and my heavily pregnant body could really really do with a beauty pick-me-up. ill love to win this gift set because benefit is amazing! INCREDIBLE prize, i would love to win! I love Benefit products, this looks like a really great prize, so of course I want to win it. I'd love the chance to own some decent make up! love benefit makeup! running out of my number one go-to porefessional! i'd love to win because ive never tried a benefit product! I'd love to win this as I asked Santa for some Benefit stuff but I guess I hadn't been good enough :-( . What an amazing prize! I'd love to win as I've heard great thing.The PoreFessional is on my wishlist. Um, I have wanted Sun Beam for the LONGEST TIME! Awesome giveaway! I love benefit, but can't afford it unfortunately! Wow I love benefit, great stuff! I'd love to win this as i use the Benefit They're Real mascara and invested in the lipgloss but haven't got the budget right now to try any more of their range! I'd love to win as I've always loved Benefit and I've not been able to treat myself to any for a looong time!! I'd love to win these products because as a student I'm pretty skint but I'd love to try out some new Benefit products! i love benefit, however i can never afford to be their products :) love to try these ! I would love to win as I have always wanted to try the products! I would love to win as I love Benefit makeup! Their products last for so long and the tins this year were absolutely beautiful! i'd like to win to finally try something from Benefit! This has to genuinely be one of the best giveaways I've ever seen on a blog! 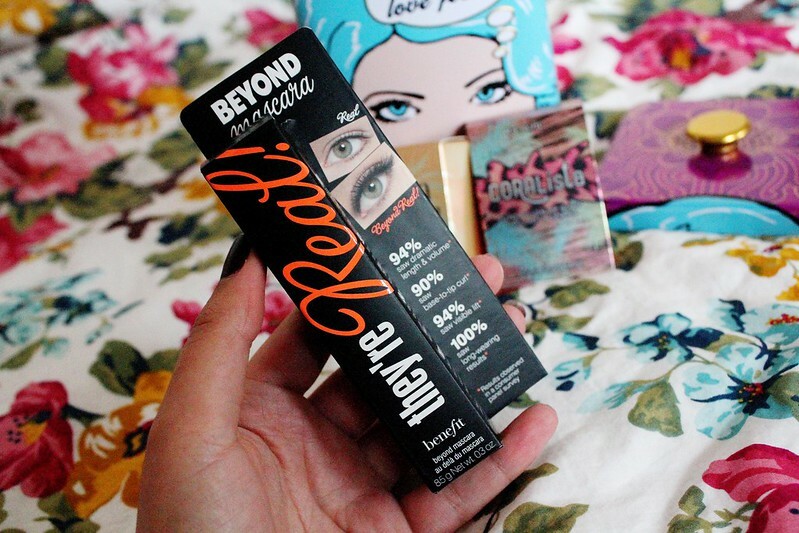 I love Benefit, but can't always afford it! Such a luxurious feel to it, and the packaging is super cute. Good luck everyone who enters! Exciting stuff. I'd like to win because I've never tried Benefit products yet!! I'd love to win as I just adore Benefit & all it's fabulous products. Do you need to ask why? Benefit products are amazing!! My sister adores Benefit products so this would make a super birthday present for her! My skin really needs a winter pick me up. I was forty late last year and my make up is starting to show it. I would love some new products to update my look.